Surry Hills, Sydney (August 04, 2014)– In the world of fashion, trends that were once considered faux pas often resurface as this season’s hottest style. Such is the case with clogs, which many people referred to as ‘ugly shoes’ back in the day. 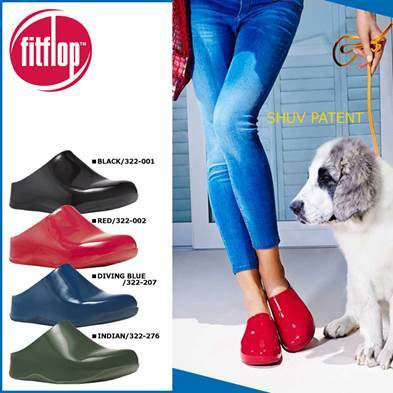 Leading Sydney Fashion PR Agency Polkadot PR is helping client FitFlop revive this once-derided footwear via a campaign called ‘The Evolution of the Ugly Shoe’. Using its press relations expertise, the company will hold a series of strategic events that will encourage the media to cover the brand and, by extension, convince consumers to purchase the clogs. The preferred shoes of ’60s hippies and ’90s grunge fashionistas, the chunky shoes have recently been seen adorning the feet of Hollywood A-listers like Anne Hathaway, Miley Cyrus, and even Sean ‘P. Diddy’ Combs. The resurgence in their popularity can be attributed to their unique look and the ease with which they can be worn. FitFlop, however, has updated the humble clogs for modern times. Their shoes boast a patent-pending, triple-density Microwobbleboard™ midsole specially engineered by two British biomechanists. This cutting-edge technology increases the contact area of the foot to the midsole, thereby minimising underfoot pressure. Furthermore, the clogs absorb the shock of each step, which makes walking in them even more comfortable. The shoes also come in a variety of attractive colours, from classics like black and red, to more contemporary shades like peach and electric blue. Polkadot PR will highlight all these standout features in their promotional activities, with the goal of convincing both the media and the public that one can be on-trend without being uncomfortable. For more information on the ‘The Evolution of the Ugly Shoe’—and to learn more about Polkadot PR’s services—be sure to visit: www.PolkaDotPR.com.au. Polkadot PR is a Sydney-based lifestyle PR agency. The firm was started by former journalist Dionne Taylor almost 10 years ago, and it provides all-round consumer press relations services, with a specialisation in health, food, beauty, lifestyle and fashion. Despite having an international team of PR specialists, the company remains boutique in size to enable it to provide tailor-fitted services to all of its clients.